Bob Lontkowski has worked in the real estate industry for more than 25 years. to ensure he and his team can fully accommodate every customer's needs and expectations. It is imperative in today's environment to keep up with the changes impacting the real estate market plus all the complex processes to work through a sale such as short sales and foreclosures. In addition to working in the industry full-time, there is a necessity to keep up with continuing education and trends in the marketplace. Bob believes that the sale is not over with the closing documents he follows through with all customers to make sure they are satisfied with their purchase and he adds the unique added value of knowledge in development. He thoroughly previews properties for specific and general issues- he understands construction and often handles minor things for his customers, plus he knows vendors and who provides quality and value work! It is not enough in this economy to just sell someone a property, you have to be there for them from the beginning through to the end and then beyond. Bob gets his business from referrals he has built his business based on referrals referrals come from totally satisfied customers! To facilitate the buying, selling, or management of properties for investment, development, retirement, or second homes in a resort, recreational and/or vacation destination. While most buyers purchase a home to use as their primary residence, a significant share also purchase vacation or investment properties. Because the purchase of a non-primary residence is often influenced by different factors than the purchase of a primary residence, it is important to understand how changes in the market environment affect each segment. ABR (Accredited Buyer's Representative) The ABR designation is the benchmark of excellence in buyer representation. This coveted designation is awarded to REALTORS who meet the specified educational and practical experience criteria, by the Real Estate Buyer's Agent Council (REBAC) of the National Association of REALTORS. Why should you look for the ABR designation before looking for a home? These three letters after a REALTORS name tell you that you'll be working with someone committed to your best interests, someone who has both made education a career priority, and has also demonstrated the experience needed to provide the finest in buyer representation. The Certified Residential Specialist (CRS) is the highest Designation awarded to sales associates in the ales field. The CRS Designation recognizes professional accomplishments in both experience and education. 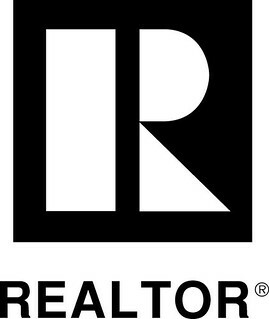 There are over one million REALTORS in business today. So if you want to find that one-in-a-million REALTOR, start with the over 34,000 who hold the Certified Residential Specialist Designation. CRS is the symbol of excellence in residential real estate. For many real estate professionals, short sales and foreclosures are the new "traditional" real estate transaction. Knowing how to help sellers maneuver the complexities of short sales as well as help buyers pursue short sale and foreclosure opportunities are not merely good skills to have in today's market- they are critical. And while short sales and foreclosures are not for the faint of heart, agents with the proper tools and training can use these specialty to ensure a positive results. Over the age of 50 and considering selling the family home? You need a REALTOR with senior experience, knowledge and marketing savvy. Those qualities, along with a special knowledge of managing the sale of a home for those over the age of 50, are what SRES designees can bring to your next real estate transaction. SRES designees are certified senior specialists and astute to the financial and emotional challenges senior clients face when they sell a long-held family home. SRES designees not only can create a customized approach to marketing and selling your property, but they also can work with you to explore your housing options to ensure that your next home best serves your current and future needs. Such certified specialists have special knowledge about everything from reverse mortgages and the importance of universal design to the uses of pensions, 401k accounts, and IRAs in real estate transactions. They'll also help you steer clear of loan schemes and scams that victimize aged 50+ borrowers. And when you need help from other professionals, SRES designees can tap their network and put you in touch with qualified home inspectors, movers, attorneys, CPAs and other experts. SRES designees have all the resources and knowledge to simplify the transaction and eliminate the anxiety of selling your home. Download SP Arizona App for your Andriod device. © 2019 Sonoran Properties, Associates.